And I really do. So I was delighted to do a guest post on the reasons why for Kate’s marvellous book blog. This post also nicely rounds off the publicity posts for my latest indie novel Settlement. Kate aka @The Quiet Knitter is an awesome book blogger and she is very supportive of indie authors and publishers. So, thank you, Kate. You can read the post on Kate’s blog here. The blog tour for my new novel, Settlement, ended yesterday. I’ve never done a blog tour before so I wasn’t sure what to expect. But it proved to be a great experience. Yes, it was a bit nerve-wracking waiting to see what the bloggers’ thoughts were on the book, but I needn’t have worried – it all went well. So I owe a huge thank you to all the book bloggers who took part out of the goodness of their hearts and to Kelly at Love Book Group Tours for organising it all. And, as I did a few days ago when I posted a roundup of the first three stops on the tour (here), today I’m putting up the links to the rest. Day 5: It was another extract from the beginning of the book was shared by Louise on her Bookmarks and Stages blog – here. Day 6: Another fab review – this time from Kate on her Confessions of an Avid Reader blog – here. Day 7: I had a guest post on Joanne’s blog – Portobello Book Blog – and Joanne even included a mini-review of what she thought of Settlement so far as she was still reading it at time of posting. You can see my post and her thoughts here. Day 7: There was a second stop on day 7 at Sandra’s Beauty Balm blog. And with such a wonderful review from Sandra it was a great way to end the journey. You can read what she thought here. And that’s it. So, once again, thank you to the bloggers, to Kelly, and to all the people who read the posts, and who commented on them and shared them on social media. I appreciate it all. And thanks to readers of this blog too who have also been supportive. But before I go, I should answer the above mentioned Sandra’s question: Yes, there will be a third book in the Displacement/Settlement series. I’ve just started writing Fulfilment which will be the final part of the set. I will then leave these characters in peace and move on to something completely new. Next week, starting on 12th November, my new book Settlement is going on blog tour organised by the lovely Kelly at Love Books Group. This means there will be a different Settlement related post on seven different book blogs – one on each day – until the final day when there will be two. The book blogging community are just fab! It’s made up of lots of wonderful book lovers who review books, interview authors and give writers guest spots on their blogs. And it’s all done out of love and in order to spread the word about books and reading. So much work is involved and all of it unpaid. What a tremendous resource and source of support for all of us authors. And today, I’m delighted to be a guest on Anne Williams’ Being Anne book blog where I talk a bit about the background to Settlement and why I chose the settings that I did. You can read the post here. I don’t know about you, but I get almost all my reading recommendations from book bloggers nowadays. I’ve discovered so many good authors and thoroughly enjoyable books that I’d never have heard of any other way. So let’s hear it for the Book Bloggers. They rock! How do you find your next reads? Let me know in the comments section below. It was back in January 2010, having just published my first novel, that I began writing this blog. The word on online-writer-street was (and still is), that as an author, it was advisable to have a blog in order to raise your authorly profile and to alert potential readers to your masterpieces and where they could buy them. So after a bit of research I chose WordPress to be the host for my blog. I liked its ease of use, even for an old, not very tech savvy bird like me. I also liked the wide choice of style and appearance that WordPress has to choose from. To start with I blogged mainly about my writing. I wrote about the process, motivation and road to publication and beyond. At first the number of people viewing my posts was low. But ever so gradually the numbers grew. People started to ‘like’ the posts and comments started to come in. I also visited and began to follow other people’s blogs. And now? Now Put It In Writing is my online hub. It’s my home on the web. Yes, I have two author websites – one for each of my author identities – but they’re really just shop windows for my work. And yes, I have two author pages on Facebook where I engage with the readers of my books. But it’s on the blog that I write and share the stuff that matters most to my writing soul. Nowadays after 268 posts, I write about books I’ve read, I write about my experiences, thoughts and reflections and sometimes I even write about my writing. I hope to entertain, give pause for thought and to inform. But I no longer do it to sell books. I’m not sure it ever had that effect anyway. I blog because I love it. I enjoy writing the posts and I enjoy the comments and interaction that my posts generate. And I get just as much enjoyment from reading others’ blogs. I follow a lot of other blogs here on WordPress and elsewhere, covering a wide variety of topics and types of writing. By engaging with fellow bloggers’ posts, I in turn, am entertained, made to think and informed. I read my fellow bloggers posts, comment on and share them on Twitter. And they do the same for me. And it’s through blogging, and the often related use of Twitter, that I feel like I’m part of a mutually supportive community of readers and writers. The bloggers I follow are, by definition, all writers. 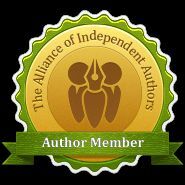 They include fellow novelists, book bloggers who love reading and reviewing what they’ve read, and others who are commentators on all sorts of interesting topics. One last thing before you go, why do you read and or/write a blog? Do you have a sense of an online tribe and if so where does that come from? Do leave your thought in the comments below. One of the best things about blogging is connecting with fellow bloggers. I follow a wide variety blogs and am always entertained, educated and excited by them. Over the next while I plan to post about some of the blogs I consider to be amongst the best. First up is Comics Grinder the home of fellow WordPress blogger, graphic novel author and illustrator, Henry Chamberlain. You can visit his highly informative and knowledgeable blog here. Comics were something I enjoyed when I was a child when I read the Beano, the Bunty and the Diana, to name just a few. I loved all the usual suspects. The anarchy of Dennis the Menace, Minnie the Minx and the Bash Street kids was just fab, if not politically correct. Later I graduated to the Jackie and I devoured the comic strip tales of teenage love, and Cathy and Claire’s problem page. And of course, when I was a child no 1960s Scottish Christmas was complete without the comics latest annuals – along with the new Oor Wullie or The Broons collections. But then, once I grew up, apart from revisiting some of them when my children were young, I moved on from comics. That is until many years later, when I made the move from my role as a primary school class teacher into the much more challenging role of a support for learning teacher. I had pupils who struggled to read or write anything – either because it was an intellectual challenge that left them feeling defeated before they even started, or because their emotional problems, or way of seeing the world, acted as a barrier to any kind of engagement with the printed word. I tried lots of things that didn’t work well and then I had a breakthrough. I rediscovered comics and the ‘grown-up’ version of the preschool picture book – the graphic novel. The old saying a picture is worth a thousand words was never so true. I soon discovered even the most reluctant or cut-off child found a graphically told story irresistible. Stories like The Wolves in the Walls, or The Day I Swapped my Dad for a Goldfish, both by Neil Gaiman, or The Lost Thing by Shaun Tan worked their magic. And before long my pupils were wanting to write their own graphic novels, or in the case of pupils with communication difficulties such as autism, use a comic format to compile a social interaction script that they could share with others. But the most unexpected thing about using the comic/graphic format was it also worked with more able children. I was sometimes asked to support and stretch these children too. Children who’d been coasting, who’d lost motivation because things came so easily to them, they too were inspired by the genre to experiment, to try new things in their writing and in their reading. Pictures can be the key to storytelling. They’re efficient, economic and vivid. Comic books have been around a long time for sure – think of all the Marvel heroes. But I think they’ve come to the fore again in our now highly visual, online, picture-based world of Tumblr, Instagram and the selfie-based, shared status update. And the effect of that goes way beyond just children’s or young adult’s reading. Comic books, graphic novels and graphic non-fiction are increasingly popular with grown-ups too. For example there’s Marjane Satrapi’s Persepolis about her life in Iran, Alison Bechdel’s Fun Home about living with her secretly gay father, and Joe Sacco’s Palestine or his more recent Journalism. If you’re not a comic format fan why not get out of your reading comfort zone and give them a try? Any of the above would be a good place to start. As of course would Henry’s blog and his book George’s Run, Part 1 which I will review in my next post. But in the meantime, if you want to know more about the grown-up world of comics and graphic novels then do visit Henry ‘s blog. There’s everything from Wonder Woman to Star Wars. And Henry’s a welcoming host who’s happy to interact.